NINJA COMPETITION: CAN YOU DEFEAT THE WARPED WALL? Awards: Awards will be grouped by age ranges. Pricing for Fun Run: $25.00/child 4-18 years. Fun run is for those who want to do the course but not interested in competing or want to see what this is all about. You can sign up for both by paying both fees. Tentatively 1:00-8:00p depending on enrollment. 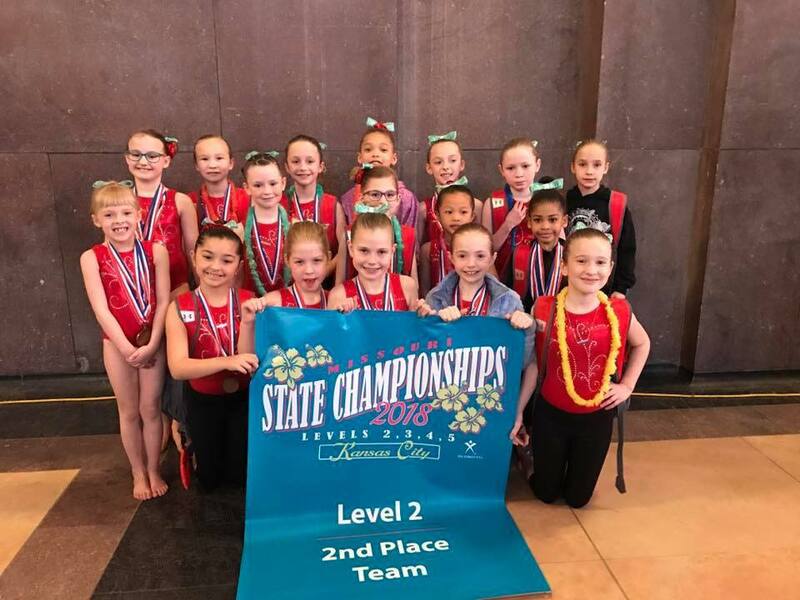 Congratulations to our Team Members that have competed in the State and Regional Championships over the past few weekends. 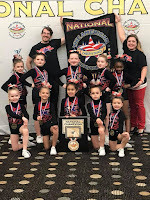 Ellisville Xcel team's success this season! 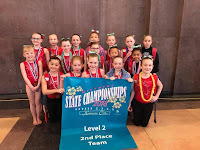 We had all 42 of our sanctioned gymnasts qualify for state and so far have had 12 qualify for Regionals. A big Congrats to our Spirit Elite squads that competed over the weekend! Royalty won 1st place and National Champions and Celebrities took 2nd place at American Gateway Competition! Way to go girls!